The Sanskrit term, Adrishta (Sanskrit: अदृष्ट), as an adjective means - not seen, unseen, unobserved, unforeseen, unknown, invisible, unexpected, not experienced, destiny, fate, luck, not permitted or sanctioned, illegal, virtue or vice as the eventual cause of pleasure or pain. In Hindu philosophy it refers to the unseen force, and the invisible results of works which accrue to a person; it refers to the Doctrine of Apurva. Adrishta, literally meaning unseen, in the Mimamsa context refers to the invisible result of a ritual that accrues to a person, and in the Vaisheshika context, synonymous with Adharma, to the equally invisible negative karmic accrual, as the unknown quality of things and of the soul, and brings about the cosmic order and arranges for soul according to their merits or demerits. Adrishta is all the elements which are not known and verified with the help of the five senses, and which can be realized through mind, intelligence and soul. Each successive birth or incarnation and its possibilities are determined by the Adrishta and Samskara acquired in the previous incarnations – Adrishta and Samskara, without which the Atman has never been, because its series of incarnations never began. Adrishta is Potential worth which must have been acquired in a human state to relate to a human state; it gives unity to the multiplicity and infinite variety of beings, and of the things under their control, it binds them into a single system and an organic whole. Prashasta hints that the existence of the Universe itself though not due to Brahma’s Adrishta is not free from Adrishta (Moral merit). All current actions and planned future actions get planted in Adrishta. "The movement of the jewel (and) the approach of the needle, (both) have adrishtam (the invisible consequences of previous acts) as their cause." Apurva is an epistemic mechanism that indicates knowledge of causal links between acts and their consequences. Sabara discusses this concept in his commentary on the Vaisheshika Sutras, and even claims that by the word codana (Sanskrit: चोदन -meaning precept or rule -the performative element of an injunction) Jaimini really meant Apurva; it is mentioned by Jaimini in passing, as part of purvapaksha argument in Mimamasa Sutra I.ii.9. "In either case (viz the Adrishta, the unseen principle, inhering either in the atoms or in the soul) the activity (of the atoms) is not (possible), therefore the negation of that (viz of creation through the combination of atoms)." The Nyaya-Vaisheshika sustems of philosophy derive the conception of moksha from the Upanishads but require a highly developed stage of logical thought, and care more for the instrument of knowledge than for knowledge itself. The Mimamsa system by the very nature of its ritualistic problems does not have much in common with Upanishadic philosophy. ↑ Vaman Shivram Apte. The Practical Sanskrit-English Dictionary. Digital Dictionaries of South Asia. p. 55. ↑ Constance Jones. 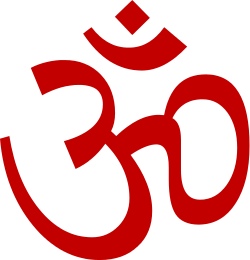 Encyclopaedia of Hinduism. Infobase Publishing. pp. 8–9. ↑ Bhojraj Dwivedi. 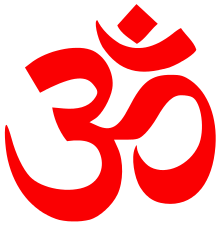 Religious Basis of Hindu Beliefs. Diamond Pocket Books. p. 23. ↑ Jagdisha Chandra Chaterji. The Hindu Realism. Jain Publishing. pp. 110, 115, 123, 172. ↑ Hart Defouw. Light on Realationships: The Synatry of Indian Astrology. Weiser Books. p. 254. ↑ The Sacred Books of the Hindus Vol.VI - The Vaisheshika Sutras of Kanada 1923 Ed. Sudhindra Nath Basu. pp. 157–161. ↑ Patanjali. "Sadhana Pada". International Infopage for Ashtangayoga. ↑ Patanjali Yoga Sutras. Sri Ramakrishna Math. p. 84. ↑ Shlomo Biderman. Scripture and Knowledge: An Essay on Religious Epistemology. BRILL. ↑ R.D.Ranade. A Constructive Survey of Upanishadic Philosophy. Bharatiya vidya Bhavan. pp. 139–140.